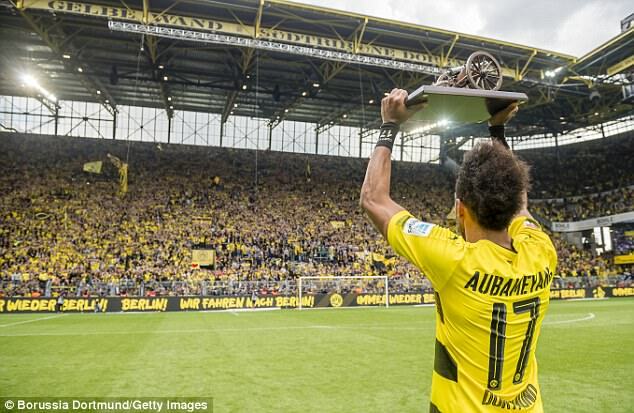 Pierre-Emerick Aubameyang became only the second African player after Tony Yeboah to win the golden boot in Germany after scoring twice on the final day of the Bundesliga season. 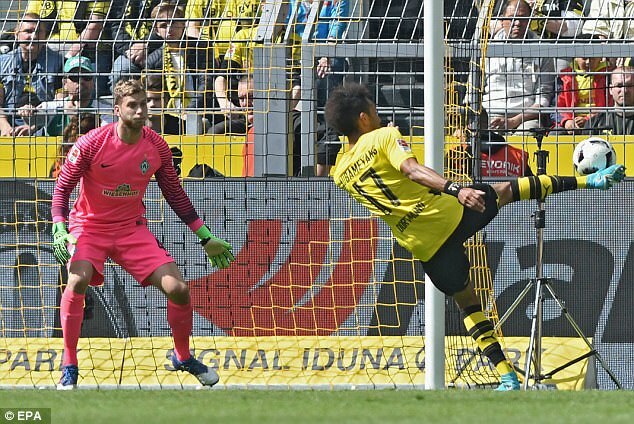 Aubameyang scored a last-gasp winner to earn Borussia Dortmund a 4-3 win over Werder Bremen on Saturday. 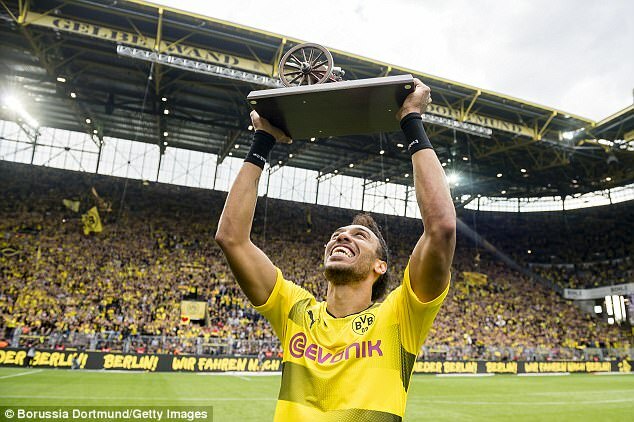 The Gabon international’s late strike was enough for Dortmund to secure their automatic Champions League group stage spot – and the striker appeared delighted to pick up his award as the league’s top scorer. 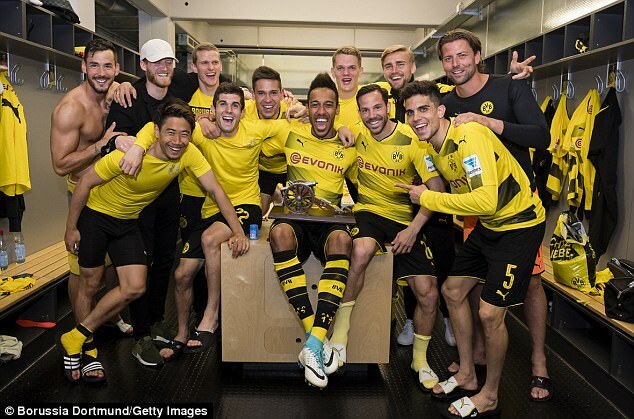 The 27-year-old, who scored twice to be crowned top scorer with 31 goals, converted the 89th minute penalty in the final round of Bundesliga matches to see Dortmund finish third on 64 points and seal the big European bonus. It left them two points clear of fourth-placed Hoffenheim, who drew 0-0 against Augsburg and will now go into the Champions League qualifying rounds. Lewandowski went into the final round of matches one ahead of his rival at the top of the scoring charts, but the Polish striker fired a blank in Bayern Munich’s 4-1 win over Freiburg at the Allianz Arena to leave the door ajar. 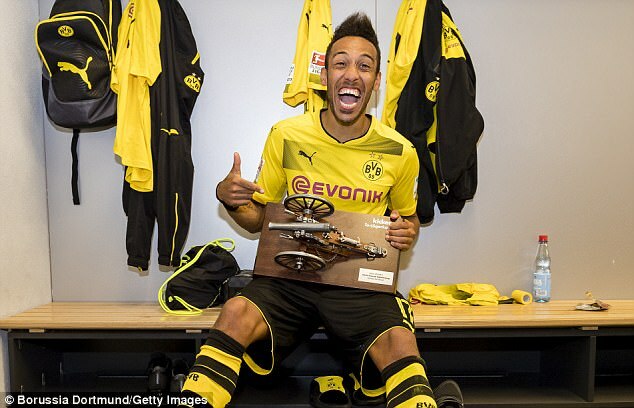 Aubameyang told the club’s official website: ‘I feel very good. We reached third place and qualified directly for the Champions League, that was our goal. 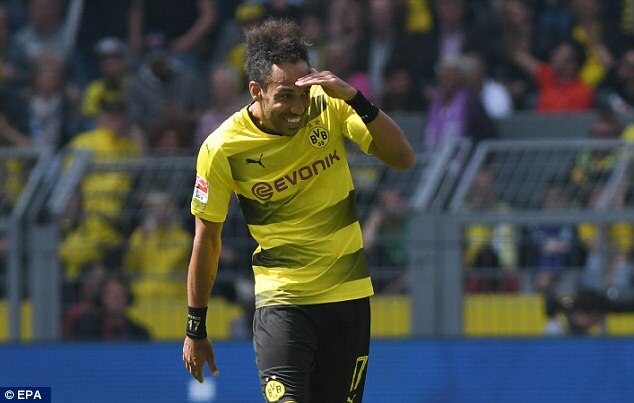 The striker opted not to take up the opportunity to score his second of the afternoon in the second half as Marco Reus took over spot kick duties to level the match at 3-3. 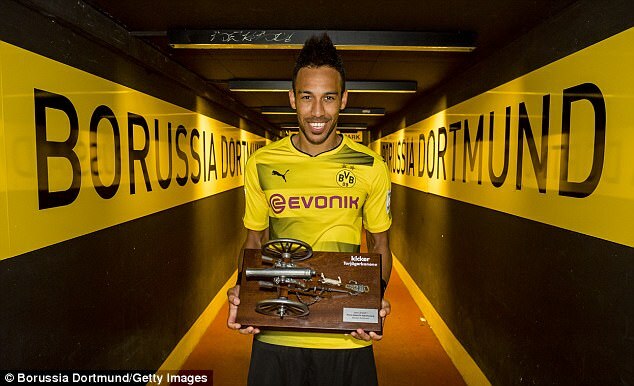 Aubameyang explained: ‘At first, it was extremely important that we reached the Champions League. 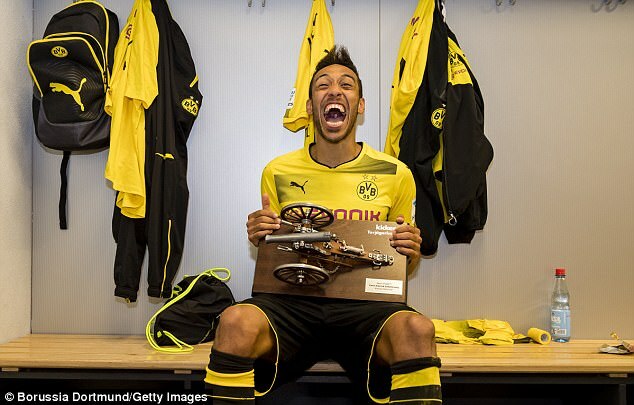 There I thought more about the team than the Golden Boot and Marco because he is a specialist. When asked if he was happy about beating Bayern Munich striker Robert Lewandowski in his personal duel in the scoring charts, the Dortmund star added: ‘It’s a great feeling, because Lewy is for me the best striker in the world. 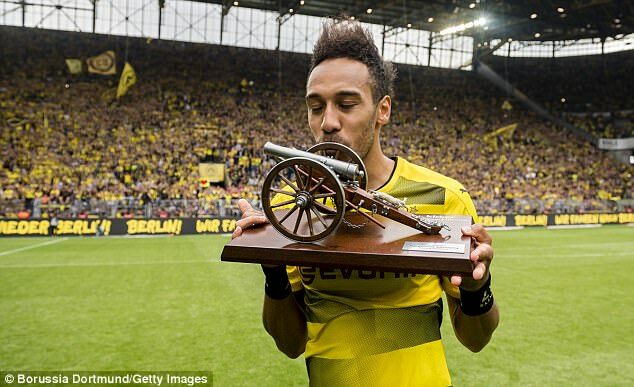 Aubameyang joins Yeboah, who achieved the feat twice whilst playing for Eintracht Frankfurt – in the 1992-93 season and the following year in 1993-94.